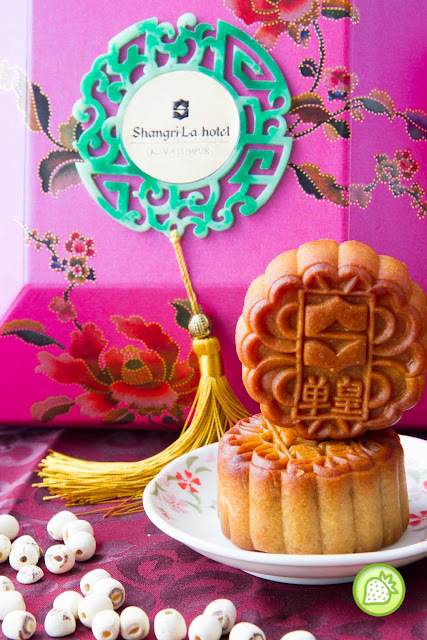 Bringing you with the elegant box every year, Shangri-La Kuala Lumpur does not disappoint you with their mooncake this year too. 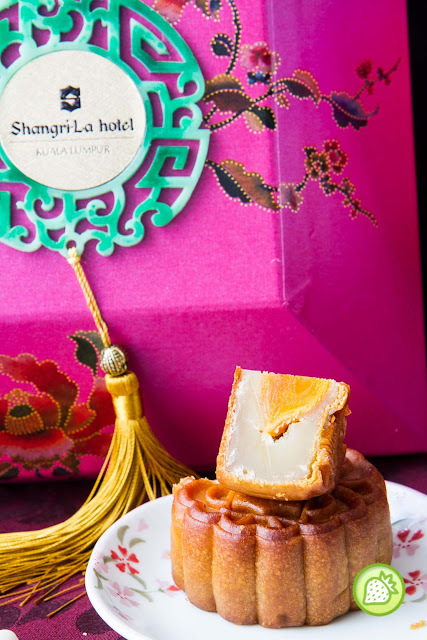 And this year, Shangri-La Kuala Lumpur brings you with their variety of traditional mooncake starts from RM 26 onwards. 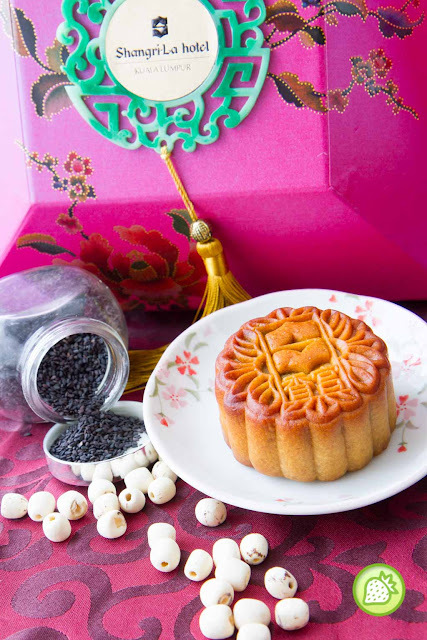 Mooncake varieties which are available includes the Red Bean Paste, Black Sesame Seed Paste Single Yolk , Lotus Seed Paste Double Yolk, White Lotus Seed Paste Single Yolk and also the Assorted Nuts and Sun Dried Fruits. The variety comes pretty good where I am in love with the White Lotus Seed Paste Single Yolk as well as the Assorted Nuts and Sun Dried Fruits.These two flavours comes simply good where the skin are thin and crust is perfectly done. 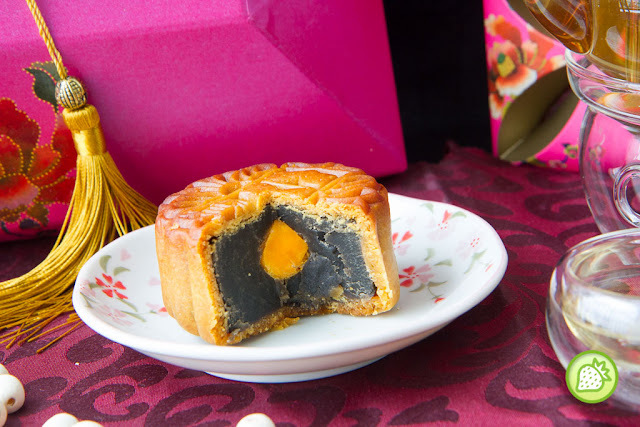 The Black Sesame Mooncake comes with the fragrant black sesame taste in it which appear to be my family favorites. Distinct smell of sesame with the delicious salted egg yolk in the middle. Yummz! If you are looking for “ping pei” ; Shangri-La Kuala Lumpur brings you with 6 choices of mooncakes which includes the Mini Peng Pei Avacado Paste, Mini Ping Pei Spirulina Paste, Mini Peng Pei Durian, Mini Peng Pei Custard with Bird’s nest, Mini Peng Pei White Lotus Seed Paste with Walnut and also the Mini Ping Pei White Chocolate with Orange Flavour. 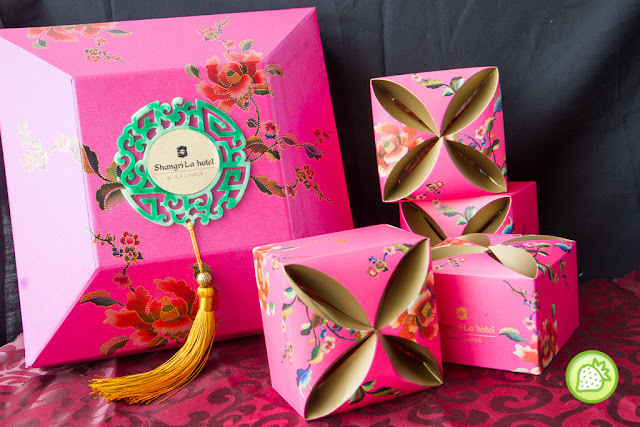 And this year, Shangri-La Kuala Lumpur comes up with their Premium Gift Box where it comes with 12 pcs of mooncakes (except mini mooncakes) and it is at RM 498 for the beautiful packaging. 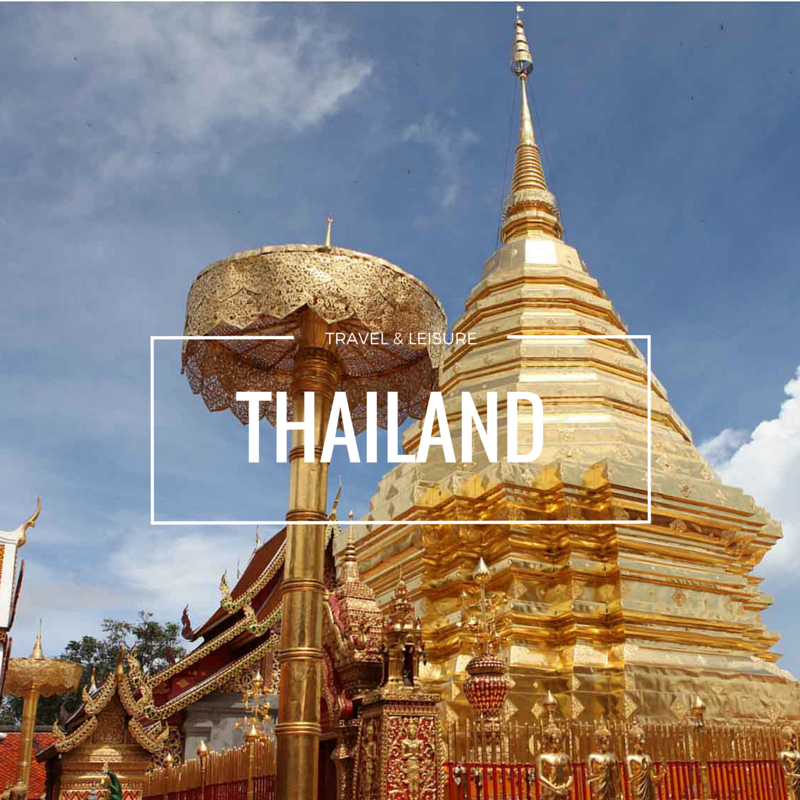 This offer is available from 8 Jul 2016 through 15 Sep 2016. Receive a 15% discount on all mooncakes purchased between 8 and 31 July 2016. 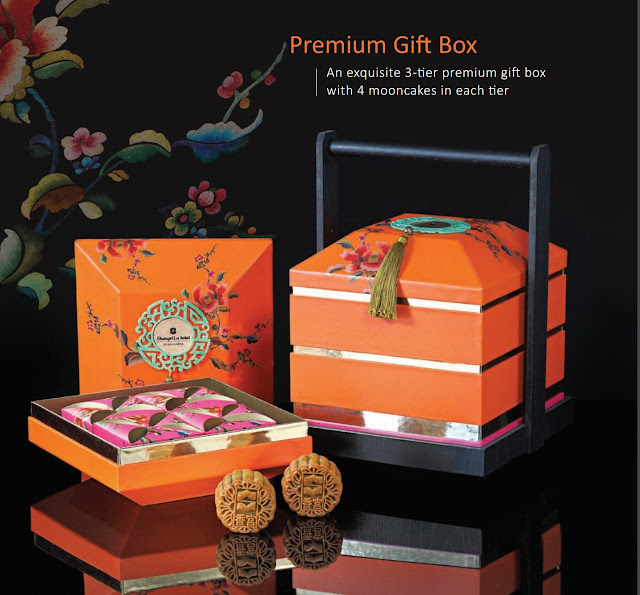 A rebate voucher of MYR 20 will be given for every mooncake gift box purchased. 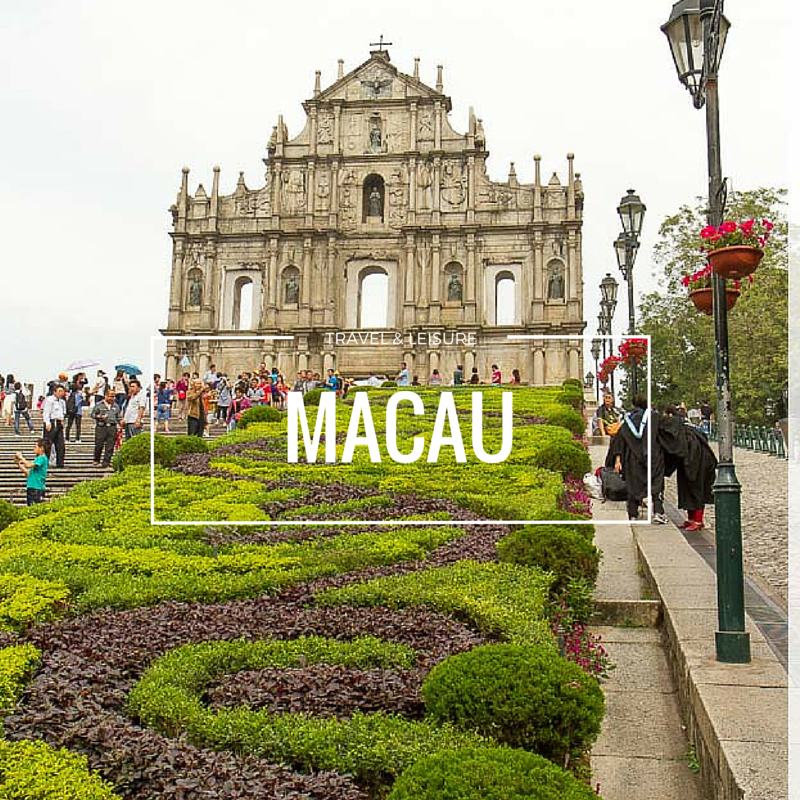 The voucher can be used at Shang Palace, Lemon Garden Cafe, Zipangu and Lafite. 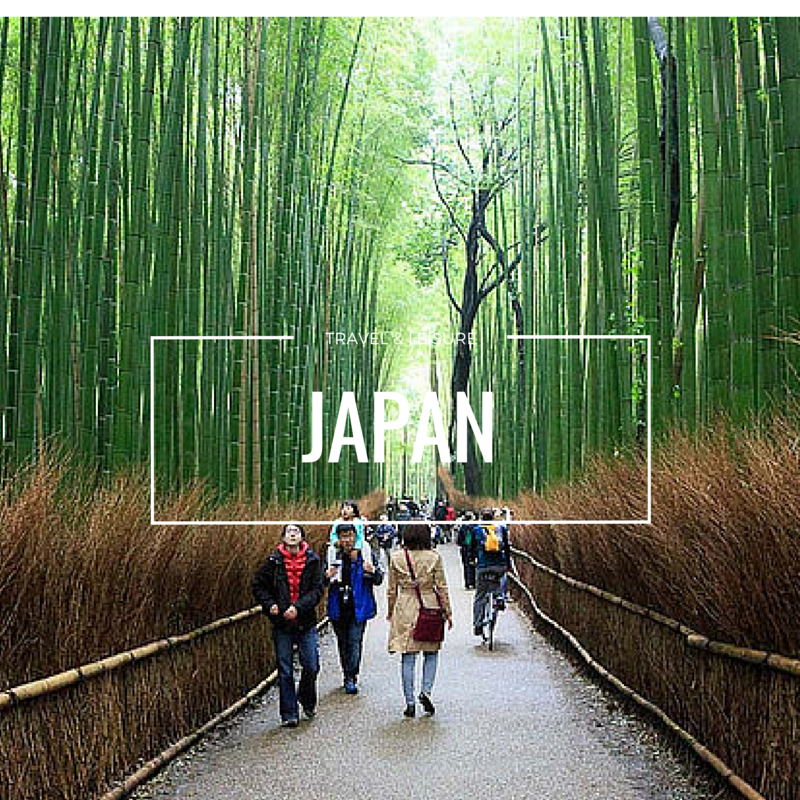 – 10% discount for purchases made with The Platinum Card®, American Express Platinum Credit Card, Maybank 2 Card Premier American Express Reserve and Visa Infinite Diamanté Card. 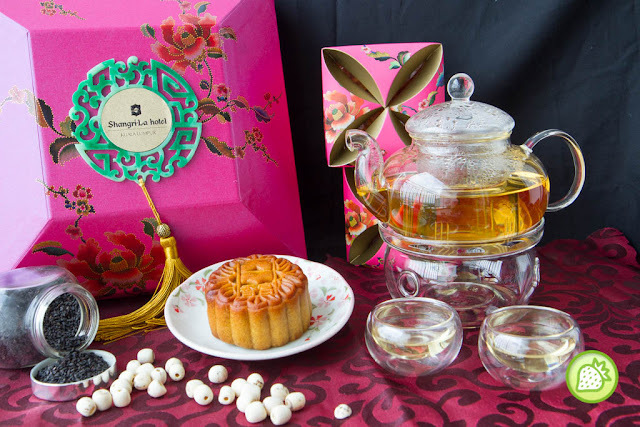 – You can add a personalised touch to corporate purchases where they will have a specially customised mooncake gift boxes with a company’s name or logo on the boxes are available for purchases of 50 boxes or more on a single receipt (notice must be given at least 3 days in advance). 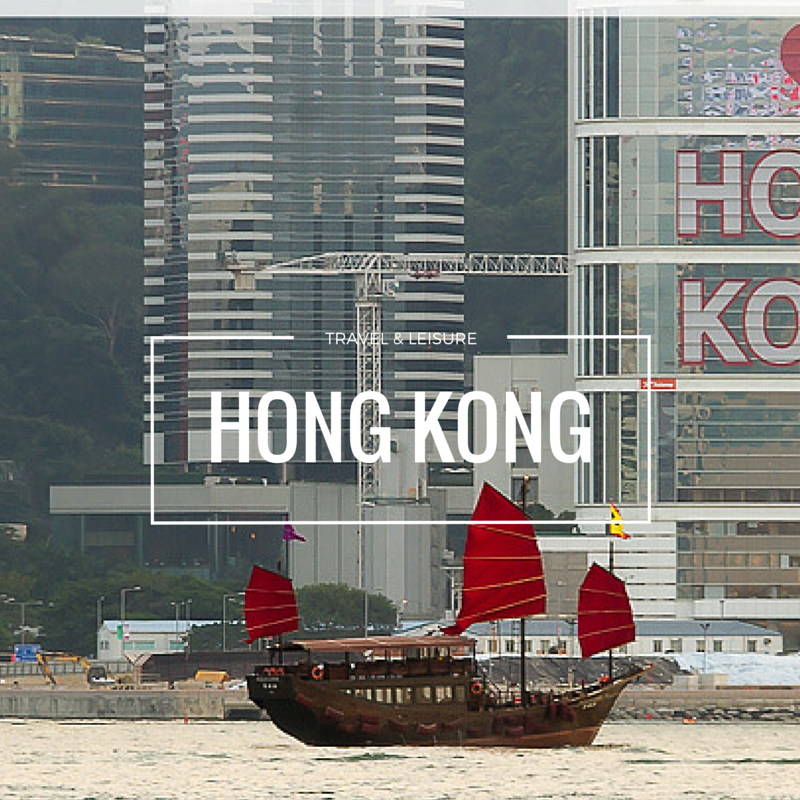 – Mooncakes can be exclusively engraved with your company’s logo. – This offer is available for purchases of 300 boxes or more on a single receipt (notice must be given at least 26 days in advance). 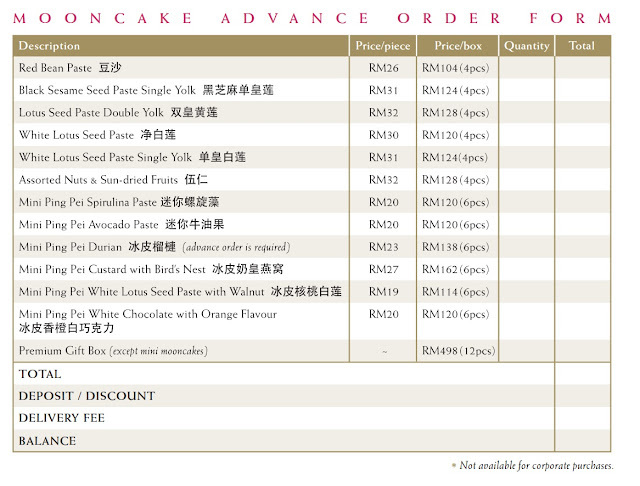 – Mooncakes can be delivered to addresses within Kuala Lumpur at a fee of MYR 50 per address. Early bird orders must be paid for and collected within the stated validity dates. 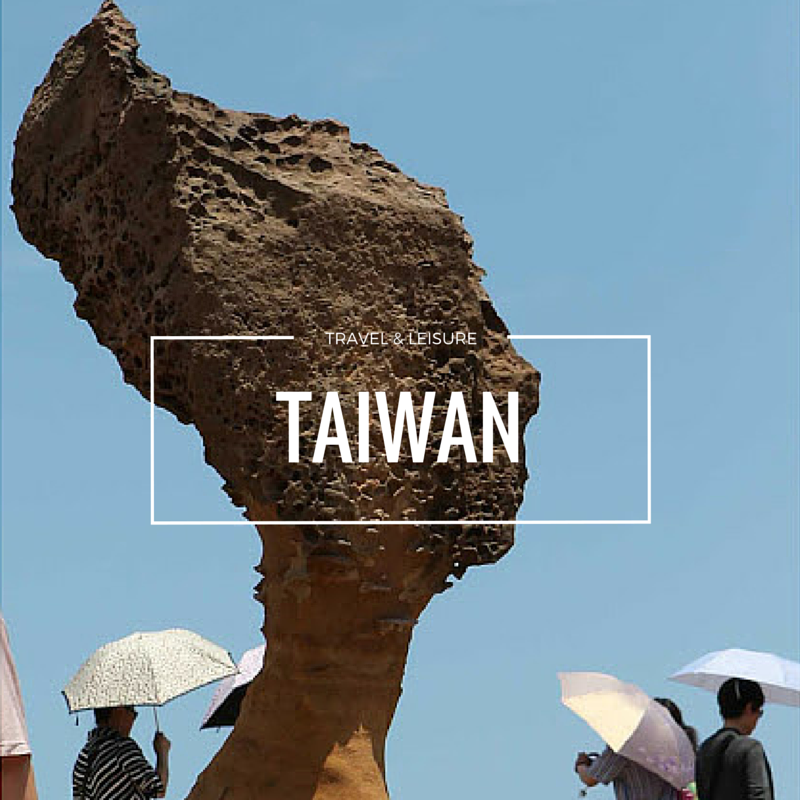 All discounts cannot be used in conjunction with other discounts or promotions. The above exclusive offers are only applicable and valid at Shangri-La Hotel, Kuala Lumpur.